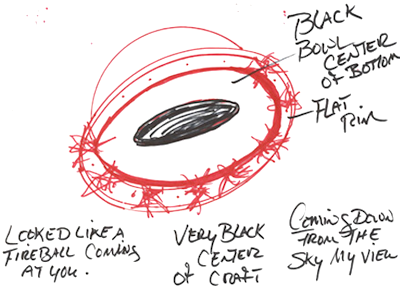 A Colorado witness at Commerce City reported watching “two bright red, disc-shaped” UFOs where one of the objects hovered over a neighbor’s house, according to testimony in Case 68220 from the Mutual UFO Network (MUFON) witness reporting database. The event occurred beginning about 9:15 p.m. on July 15, 2015, when a husband and wife were watching television and the husband decided to step outside to repair a light. The wife also thought she may have seen nearby fireworks. Then the object hovered closer to home. . . .